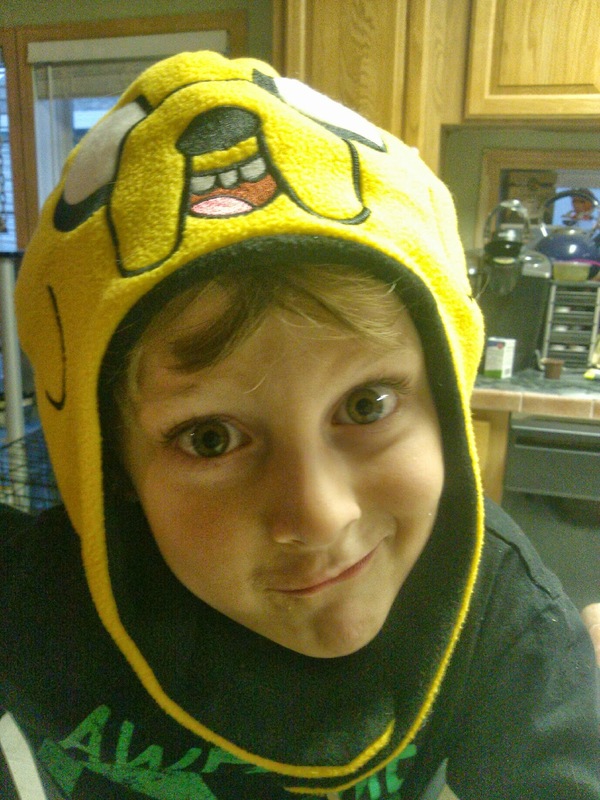 On September 17, 2013 The Cartoon Network released Adventure Time: Jake the Dad. 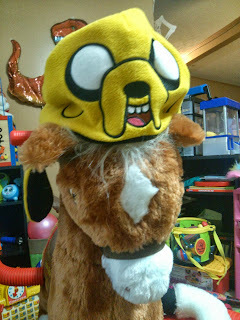 This unique and a bit odd show includes tons of bonus features including an awesome fleece hat designed to look like Jake the Dad! This DVD will include 16 episodes of the hit series. 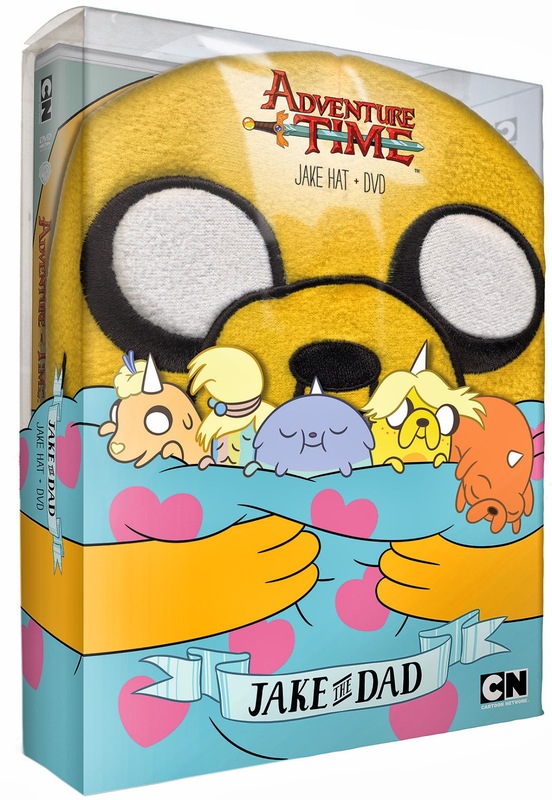 The synopsis says "Created by Pendleton Ward and produced by Cartoon Network Studios, Adventure Time leads viewers on the fantastical adventures of unlikely heroes, Finn & Jake, buddies who traverse the mystical Land of Ooo and encounter its colorful inhabitants." I've got to say after watching the Regular Show I was a bit hesitant to even watch this show. It is extremely strange, very off the wall, and I was not a fan. I actually decided after a day of watching all the episodes over and over again with Declan that I had to "lose" the DVD. It just was not geared towards children and even myself. Our favorite part of this package has been the hat as you can see not only does Declan enjoy wearing it around the house but our wonderful play horse does too (when not in use by the children). I am actually looking forward to them being able to wear it more once the cool weather comes. Recommendation: I thought it was funny but definitely on the weird side. Thank goodness the kids were not totally upset about it being misplaced somewhere in the house. I don't know about spending $20 to buy this though.